An interview with Artistic Director of I Coristi Chamber Choir, Dr. Rob Curtis. I Coristi will be performing Mozart's Requiem with The Richard Eaton Singers at the Choral Orchestral Concert at the Podium Spotlight Concert at the Winspear Centre on Sunday May 22, 2016 at 3 PM. 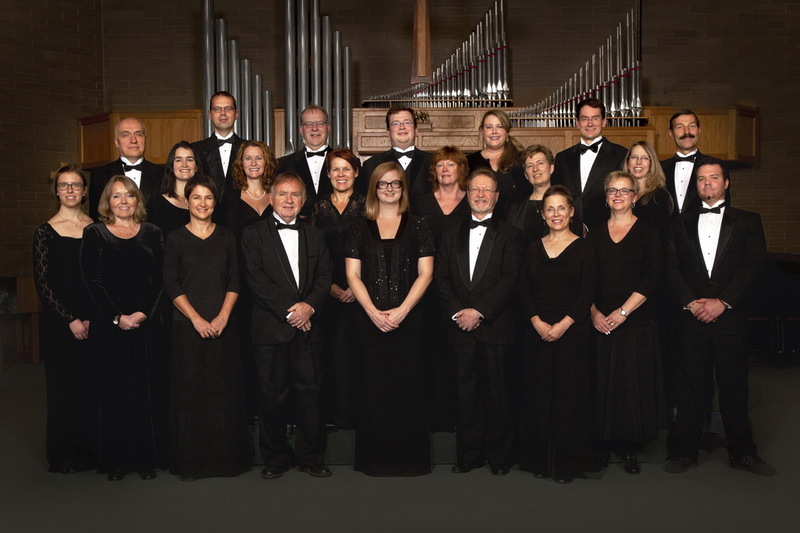 You have had a long association with I Coristi Chamber Choir, first as assistant conductor in 2004 and eventually took over for Founding Director, Dr. Debra Cairns. What would you describe were the challenges and advantages of coming into the ensemble as the new Music Director? At the start of my first season as the conductor of I Coristi I knew I had big shoes to fill, but the singers were very welcoming and made me feel very much at home right off the bat. Having previously worked with the choir as assistant conductor some years earlier, I was already familiar with the kinds of concerts the choir likes to put together, and already knew some of the singers, which helped to make the transition a bit smoother. I've always held Dr. Cairns's programming in very high regard, and it's been a real privilege to continue that tradition and bring a very eclectic mix of music to our choristers and audiences. We've covered repertoire from Palestrina to brand-new commissions, and have explored little-heard music including pieces for choir and percussion, and choir and Celtic ensemble. One of my goals over the past few years has been for the choir to engage still further with the wider community, and I was very proud of the success of our first competition for Canadian composers in 2015 - we'll be performing the winning entry by Trent Worthington at our final concert this season on May 14. I Coristi is a wonderful group of people to work with, so even the challenges have been a lot of fun! What are some of the highlights you have had with the I Coristi Chamber Choir? Our last concert, Isles of Song, was my favourite one yet. We had some amazing guest instrumentalists, gave the Canadian premiere of Irish Mass by Gilles Mathieu, and performed for a nearly sold-out crowd. The preparations for the concert included two recording sessions for our upcoming CD, and it was very satisfying to have the chance to work on that repertoire in such detail and to then have the opportunity to perform it live, as well. The second concert in my first season with the choir is also one I remember very fondly; we finished the show with Tormis's Ingrian Evenings, which includes a fair bit of movement on the part of the choir, including a requirement for the choir to leave the performance space in every direction in small groups at the end of the piece, singing as they go. The choir did a great job, the piece was really effective and very well-received by the audience, and I was very grateful for the choir's willingness to go out on a limb and try something new. They're a very trusting and responsive group, and it's led to our creating some wonderful musical moments together. I Coristi Chamber Choir will be singing Mozart's Requiem with the Richard Eaton Singers, how did this collaboration come about with these repertoire choices? I Coristi will be performing Mozart's Requiem a few months before Podium, in a joint concert with Edmonton Metropolitan Chorus and Orchestra, Tony Olivares Dance and FlyFree Movement. Choir Alberta approached us to see if we would be interested in performing the Requiem a second time, this time together with the Richard Eaton Singers, and we were delighted to have the opportunity. We're performing the Beyer edition in February and the Süssmayr edition at Podium, so it's an interesting opportunity to experience two different takes on the same piece within one concert season. I think events like Podium are particularly important in a country as large as Canada; it brings together friends and colleagues from all over the country and I always enjoy the opportunity to reconnect with them. There's a lot of great work being done by Canadian choirs and it's very valuable to be able to come together and share what we've all been doing and where we're going. I always leave Podium feeling inspired by new repertoire, new ideas and new friends. This is something that's very important to me personally. There's so much excellent choral music being written by Canadian composers; it's material that is really worth presenting to our audiences, and worth encouraging and supporting. 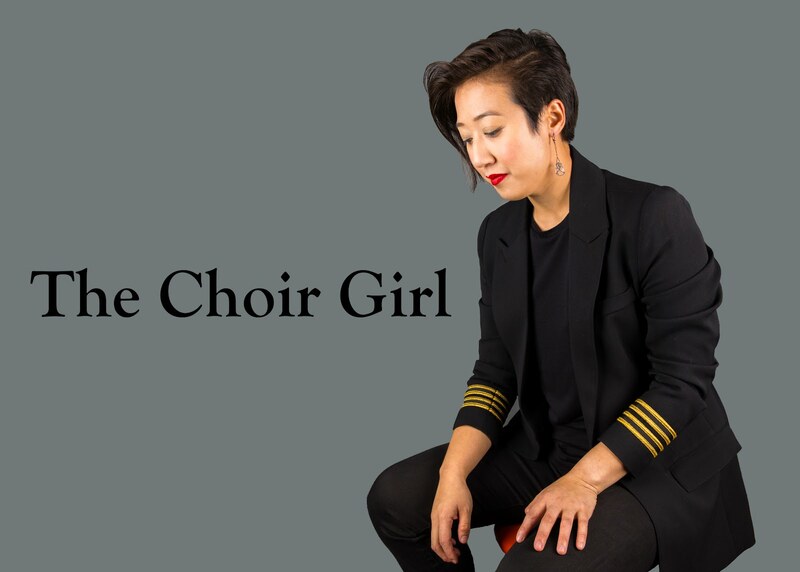 Choirs are an integral part of helping these unique Canadian voices to be heard. There are all kinds of practical considerations when preparing a new work to introduce to a choir, in terms of rehearsal planning and such. Just as important as the details, I think, are some larger questions: what is the historical context of the piece? Are there interesting aspects to the text? What is the architecture of the piece on a higher level? I think that it's important to get an ensemble thinking about these larger questions, so as to encourage them to take ownership of the piece, and ultimately to achieve a more nuanced performance. With Mozart's Requiem, for example, we've spent some time talking about the history of the piece and its various editions, and I've had some interesting conversations with individual singers about the differences between editions and some of the stylistic elements that those differences highlight. I grew up playing the piano and organ and didn't do much singing beyond a few years in my school choir, a couple of musicals in high school, and the church choir. When I started a piano degree at the University of Alberta, I joined the U of A Concert Choir, singing under Dr. Debra Cairns, and that's where I really started to fall in love with choral music; when I took an introduction to conducting class as an option in my third year, I knew I had figured out exactly what I wanted to pursue. Part of what drew me to choral music at first was the social aspect, and the teamwork involved in giving a polished performance. As I continued to sing and became more experienced, I developed a deeper appreciation for the versatility of the human voice and for the incredible variety to be found in choral repertoire. You have multiple musical roles such as singer, academic researcher, and pianist but what draws you to conducting? Conducting combines a number of different roles that fit my interests perfectly. I love teaching, and I work with a variety of ensembles that give me the opportunity to teach everything from matching pitch to more advanced choral techniques. I enjoy the scholarship involved in preparing a piece, and of course I love being able to combine those two things with also having opportunities to perform. What are some future goals of the group? I Coristi is looking at various possibilities for a tour in 2017, and we're also in early discussions with a Canadian composer for a new commission for next season. Last year for the first time, we held a competition for new Canadian choral music, which we're planning to hold every two years, and I'm looking forward to some future initiatives like that, exploring new ways to reach out to the choral community within Edmonton and nationally. We also did some recording in November, and we're planning to release a CD later this year - it's exciting times ahead for the choir! Is there anything else you would like to add that I have not asked? Our concert on May 14. Titled "Edmonton: City of Choristers", it's a program celebrating all things Edmonton. A number of Edmonton composers will be represented, from Richard Eaton (first chair of the music department at the U of A) to the current generation of composers and everyone in between, and some pieces with interesting historical connections to Edmonton. We want to celebrate the amazing choral community in Edmonton that we're so fortunate to be a part of, and if anybody happens to be arriving a week early for the conference, they can start their visit off with a bit of an Edmonton choral history lesson! The concert is May 14 at Holy Trinity Anglican Church (10037 84 Avenue), at 7:30. Details at www.icoristi.com. Rob Curtis received his Doctor of Music in 2015 from the University of Alberta, where he conducts the University of Alberta Concert Choir. 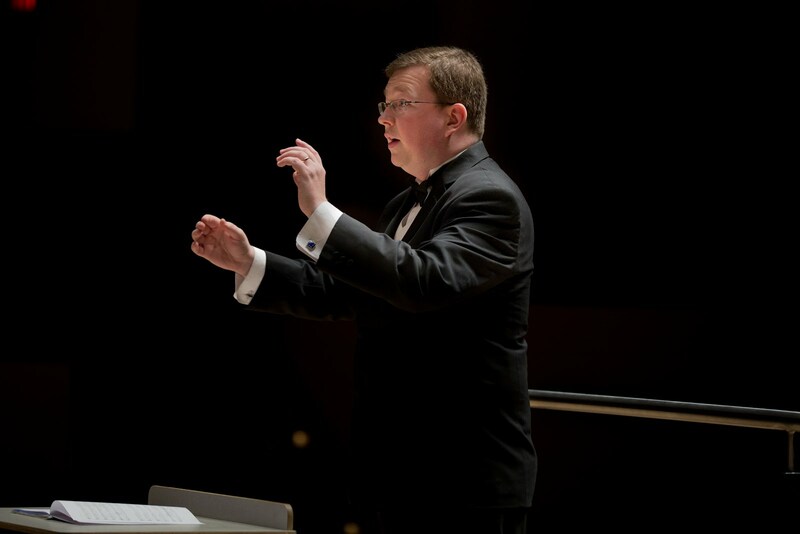 He is in his fifth year as conductor of Concert Choir, and in 2014 was awarded a Faculty of Arts Graduate Teaching Award for his work with the ensemble. Rob also conducts i Coristi Chamber Choir, one of Edmonton's top amateur choral ensembles, and is a core member of Pro Coro Canada. His doctoral research centred on the choral works of Canadian composer Malcolm Forsyth, examining the influence of ideas of place on his writing. Other research interests include acoustics and the science of choral music, as well as the use of spatial elements in choral performance. Now entering its 22nd season, i Coristi Chamber Choir is an auditioned ensemble of 28 singers from all walks of life: accountants, teachers, computer programmers, nanotechnologists, designers, theologians, administrators - singers for whom music is their vocation, and singers for whom music is their avocation! The name i Coristi is Italian, meaning "The Choral Singers". 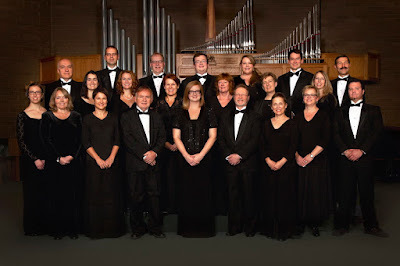 Noted for its unique, eclectic programming, the choir focuses on a cappella masterpieces from the Renaissance to the 21st century, presented in three main concerts each season; the choir also performs at seniors' facilities and various local businesses and gatherings. Awarded 2nd Prize three times (2006, 2008, 2011) and 1st Prize in 2013 in the Chamber Choir category of the National Competition for Canadian Amateur Choirs, i Coristi has been heard on national and regional broadcasts of CBC Radio, has performed with the Edmonton Symphony Orchestra, and has been invited to perform at Podium on a number of occasions. 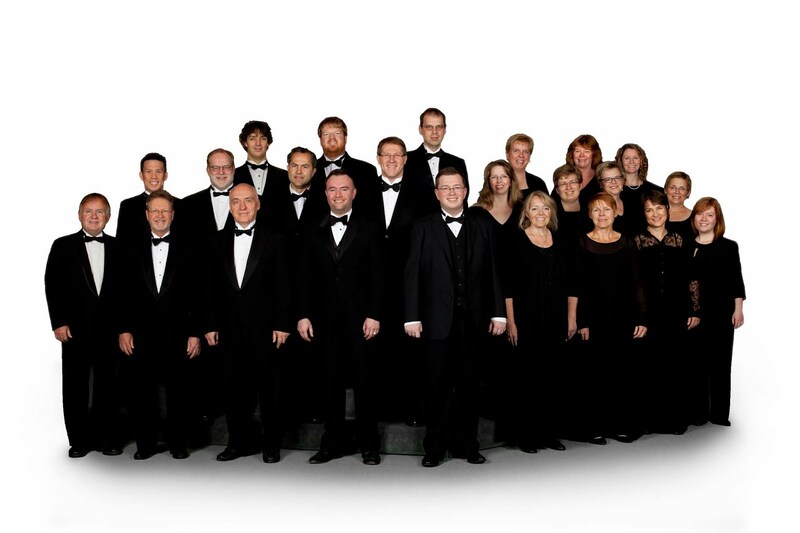 The choir has toured throughout Canada and abroad, including to England and Wales.